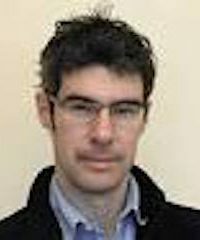 Andrew McKenzie-McHarg is a historian who studied in Berlin and Erfurt and who is currently part of the Conspiracy and Democracy Project based at the University of Cambridge. His interests extend from anti-Jesuit rhetoric in the Early Modern Period to radical streams of thought in late Enlightenment Germany. They also encompass the emergence of the social sciences in the nineteenth and twentieth centuries. He is currently finishing a manuscript on how an awareness of conspiracy theory emerged as a form of pseudo-scientific explanation from which the social sciences were required to distance themselves in order to stake their claim to legitimacy.